Bilimoria & Associate are trusted Immigration Consultants with a sound reputation and a registered firm in Chennai, South India. Bilimoria & Associate is one of the leading immigration consultancy companies and it is one of the oldest and successful Immigration consultancy firms established in 1995. Bilimoria & Associate is a professional firm providing the highest standards of service and excellent track record of success in all areas of immigration visas and related services. Bilimoria & Associate is also rated as one of the best Immigration Consultants providing services towards obtaining Residence visas. Bilimoria & Associate prepares applications on the basis of thorough knowledge of Government policy upto date. This allows the clients to obtain maximum points achievable under the visa class of General Skilled category to qualify to lodge a successful application. 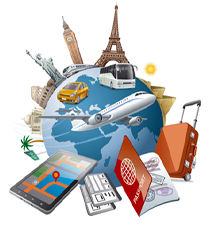 The company’s objective is to provide efficient and cost effective service in all areas relating to migration visa and all other types of visas. Bilimoria & Associate is committed to provide the highest standards of Immigration service in all areas of visa processing to Australia, Canada, New Zealand, USA and other countries. Bilimoria & Associate have good knowledge of all visa options and work with many professionals and liaison with knowledgeable consultants. Bilimoria & Associate works with top Registered Migration agents in Australia, Member Associate for Immigration and Investment in New Zealand (NZAMI) and Barristers & Solicitors in New Zealand, liaise with Member of Law Society of Upper Canada and Canadian Bar Association (Immigration section) (CPTLS) in Canada and with Member of Oregon State Bar (OSB) Association and Attorney in good standing in USA, a number of whom have over ten years of experience in immigration law. The company also liaison with Registered Members for other countries towards preparation of the application. Bilimoria & Associate also specialises in Student visa to Australia, Canada, New Zealand, USA and other countries and offers the double benefit of quality education coupled with great immigration opportunities after completion of the Education program. Bilimoria & Associate staffs have excellent client relationship and experience in preparing a successful application. They coordinate with various assessing authorities, guide and monitor every stage of the process. The staffs help in preparing and guiding an applicant towards lodging your application with a full legal submission, detailing how you meet the regulations and policy of the Migration Act, of each country. Bilimoria & Associate as an Immigration consultant would lodge an application only when the firm is convinced with the preparation of documents of a client. When the client meets all the necessary requirements the application is lodged towards obtaining a successful visa. Bilimoria & Associate is a well-established company, held in high regard by officials, and applicants. The company ensures that each and every application is submitted exactly as the decision-maker expects to have the respective visa approved. The firm offers all level of support and commitment to the clients before obtaining Immigration visa and also helps the clients after they have obtained their visas for their Resettlement Services. Bilimoria & Associate has processed many applications with High Success Rate and has many years of Professional Experience with proven track record. Provides Efficient and Cost Effective Service in all areas relating to migration matters and visa services. The objective is to also provide direct, honest answers and follow up for success of an application and uncompromising commitment to confidentiality for every application that are processed by our firm. Bilimoria & Associate specialises in guiding each application individually towards the success of an application. The firms guides and processes all types of Immigration visas, Family visas, Business visas, Investment visas and Student visa.